These shots were taken at Sanibel Island, Florida. Specifically at the Ding nature preserve. My impression of Sanibel came from years ago at a resort. I thought the entire area was like that. Actually more than half of the entire Island is preserved as a refuge. What I enjoyed was no hiking required. This was the only place we could use a car. Really, drive along and pull over on the side. It was encouraged. I complied. At this point of the trip I was getting tired. Lighting was an adventure. Blinding sun was the order of the day. All the inlets were shallow, dead calm, and bright glares. 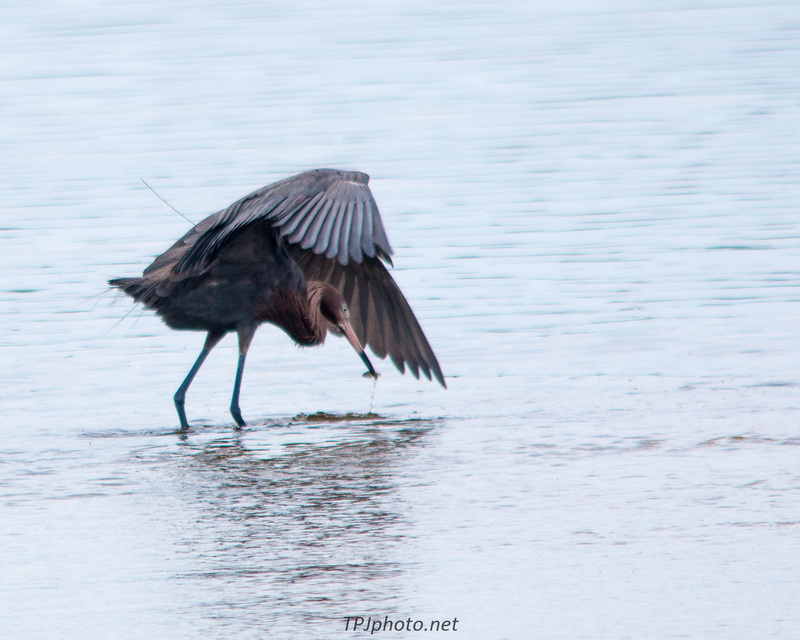 The Reddish Egret lives along the shore line and shallow flats in the most southern part of the US. Just southern Florida through Texas. Rarely south of Texas so they have a small habitat. 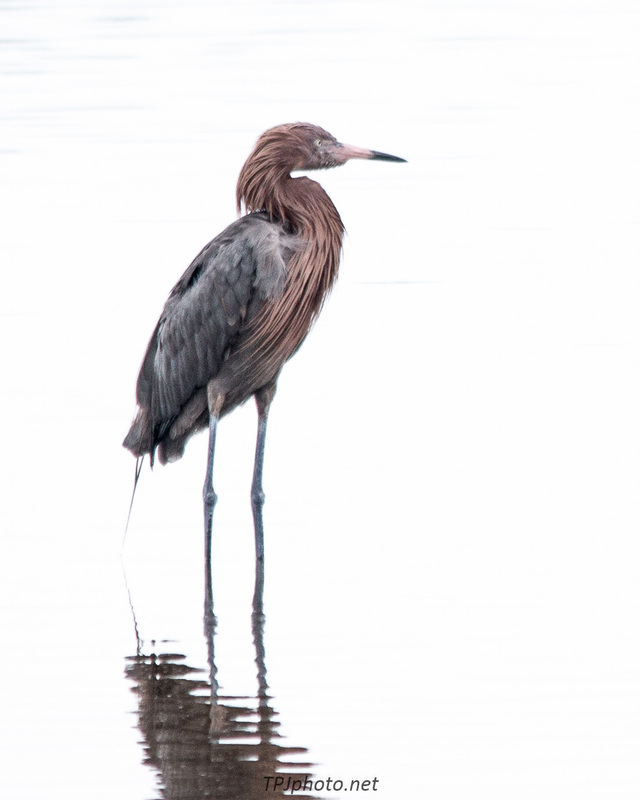 The are tall birds, almost 3 feet high and can be mistaken for a Great Blue Heron at a distance. They also dance on the water similar to Snowy Egrets. This stirs up the mud, and small fish. Its great fun to watch. When the sun hits them just right they may be the most striking of all the wading birds. 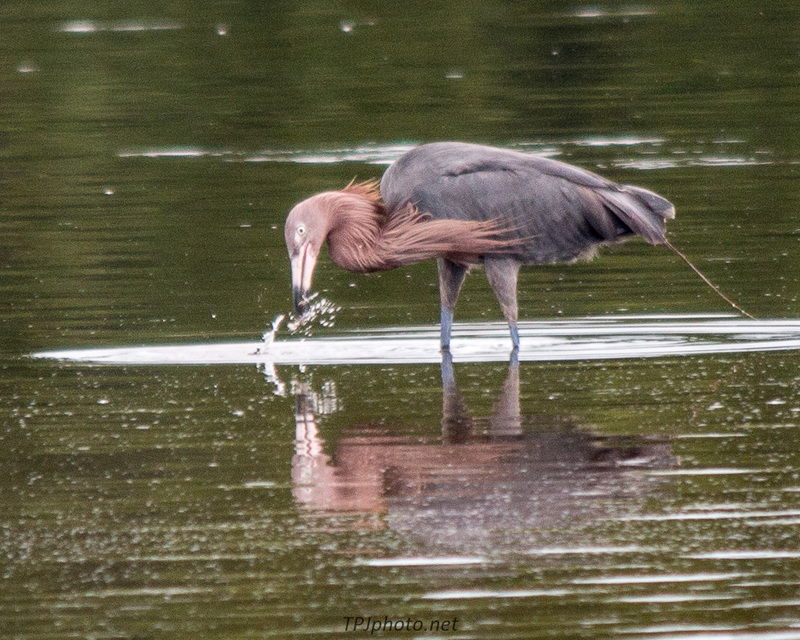 At the least as pretty as a Blue Heron.